Working as per the prevailing market trends, and giving strong emphasis on technological innovation, we have been able to establish ourselves as an eminent manufacturer of Chamber Machines. These machines have automatic operational system including printing, vacuuming, sealing, coloring and exhaustion. Advance technology of Vacuum Chamber Machine makes them highly applicable in industries of food, pharmaceutical, electronics, aquatic, chemical and many more. The Hot Chamber Machines are best-known for packaging goods as it keeps the particular product safe from oxidization, corrosion, mildew, moisture, etc. 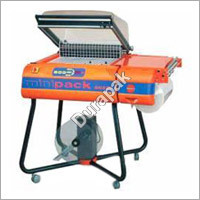 These machines are manufactured after conducting thorough market research, which enable us to churn updated products. Some of the striking features of our Vacuum Chamber Machine includes low noise production, ability to prolong the storage of goods, keeping the freshness of good intact and automatic heat control. As a quality focused organization, we carry extensive quality analysis while producing the products in order to determine their optimal productive value. All the factors keep our modern machines in huge demand, and have given them a global recognition.